It's time to look professional and email from @yourdomain.com instead of @gmail.com or hotmail.com. There are several options when you want to use your domain for email. At Obior, we recommend to use G-Suite from Google. 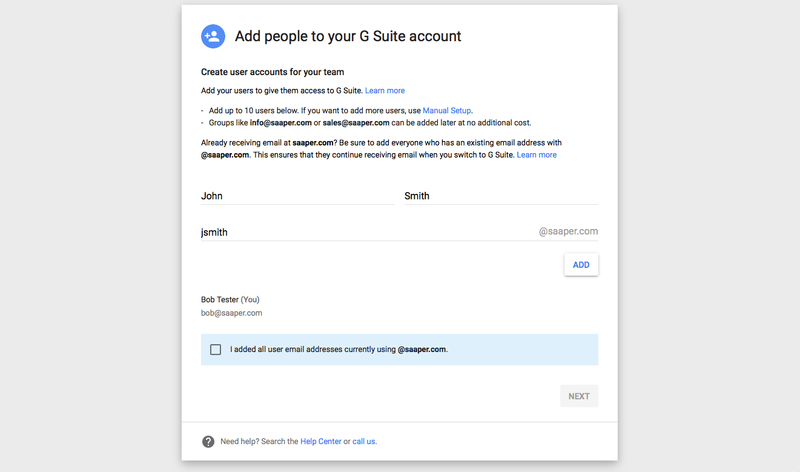 G-suite (Google apps) uses the Gmail platform. It’s reliable, safe and you can access your e-mail from anywhere in the world. You also get 30GB storage on Google Drive and some other perks. It’s not free, you pay $4 per month per user/ emailaddress. 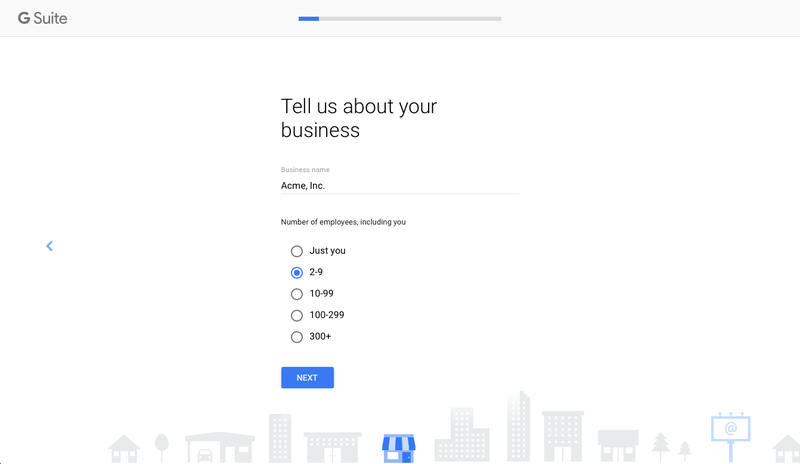 Ready to make your G Suite account? Head over to the G Suite site and click the Get Started button. Enter your (company) name, and select the number of accounts you wat to create. Don't worry—you can always add more people later. Then, select your location for locale and billing purposes, and enter a current email address—perhaps the Gmail or Hotmail account you're already using. That's where Google will send your account info after you sign up. On the next screen select that you already have a domain and enter the domain name you registered with Obior. All that's left is making your own G Suite account. Enter your name and an email address you want to use for yourself with your domain, along with a password for your new G Suite Google account. You'll use this email address and password to log into any Google apps in the future. The first step is adding your team to G Suite. You can enter each of your team members' names and the email address you want them to have on your domain. If you choose to add team members or not, after you're done, check the I added all current users box, and click Next. If you choose to add extra users, G Suite will show you a template email that it'll send to each new user. You'll need to add each of their current email addresses so Google can send them the info. You're almost done. All that's left now is to verify your domain name and set your DNS server to send your emails to G Suite's Gmail. First, verifying your domain. One of the simplest ways to verify your domain is by adding a meta tag to your website's header section, This option is easy if your website is powered by Obior. Just open your site's admin page, then click Settings -> Code Injection in the lefthand menu, and past the code under Head Injection and save your changes. 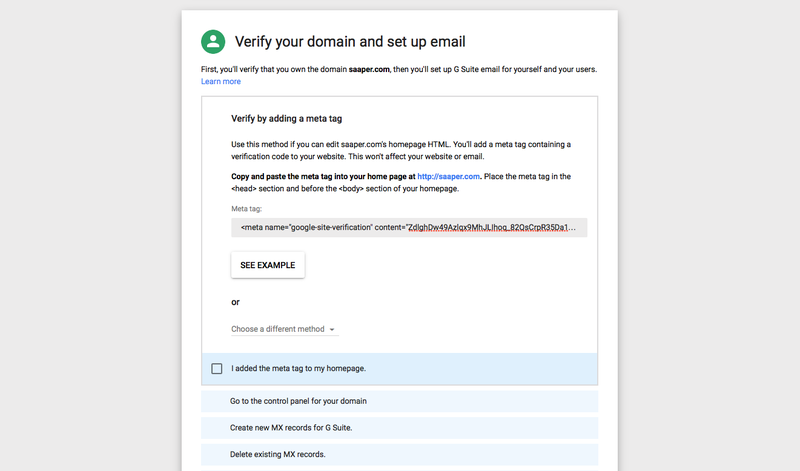 Then, you'll have to tweak your DNS settings to get Gmail emails on your domain—and you can add an extra record to verify your domain at the same time if you'd rather not add a new meta tag to your site. For that, go to Settings -> Domain Settings and next to the domain of your choice, click DNS Settings. Enter the DNS records that Google gives you. Here is an example of the records entered correctly in Obior. You can then tell Google to verify your domain, and it'll start doing that—with an hour timer counting down until your account is ready.